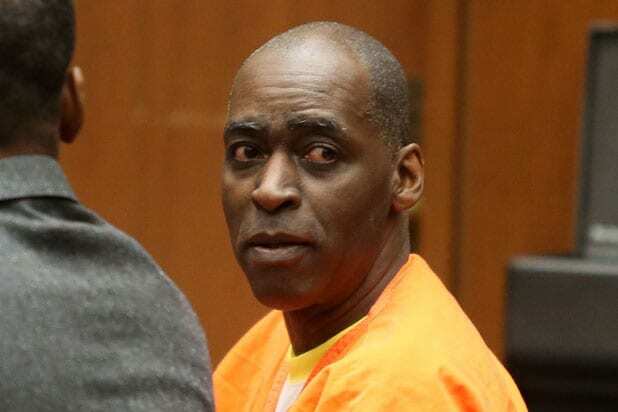 Michael Jace was sentenced to 40 years in prison for the 2014 murder of his wife, a Los Angeles judge ruled on Friday. The actor, who previously appeared in the hit FX series “The Shield,” was convicted on May 31 of second-degree murder. Prosecutors said that Jace, 53, shot his wife three times at the couple’s home, twice in the legs and once in the back, with their two young sons present. During the trial, the couple’s 10-year-old son, Nehemiah, testified that he saw his father pull April Jace into a hallway, and then heard his father tell her, “If you like running, then run to heaven,” the Associated Press reported. During the trial, Jace’s lawyer said he acknowledged killing his wife, but added that his state of mind would factor heavily in his defense. Jace was reportedly upset that his wife planned to divorce him, and suspected her of infidelity.